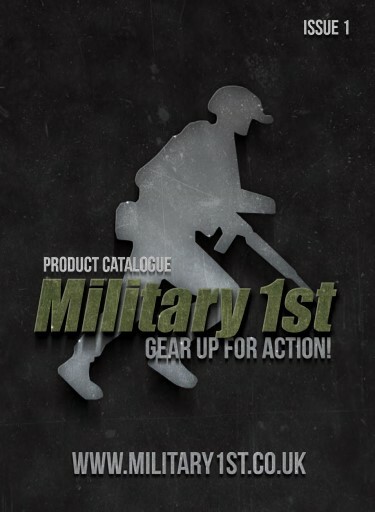 Military 1st is a UK-based online store, specialising in quality outdoor and combat clothing, tactical footwear, camping and bushcraft accessories, along with professional Airsoft gear. We are proud to provide outdoor and camping enthusiasts, Airsoft and paintball players, as well as hunters and fishermen with top class apparel and equipment at affordable prices, together with superb Customer Service and fast delivery (FREE across the UK). This catalogue contains only a small part of our wide assortment – the most popular products that represent the diversity of our offer - especially as we are constantly expanding the range of brands and products available, to meet the high expectations of our customers in the UK, Europe and Worldwide.